Couching is a method of securing thick threads, like the yellow Size 3 pearl cotton thread above, to the surface of fabric. The heavy thread lays on the fabric and a finer, easier to handle thread, like a Size 8 pearl thread, is stitched over it to fasten it to the fabric. 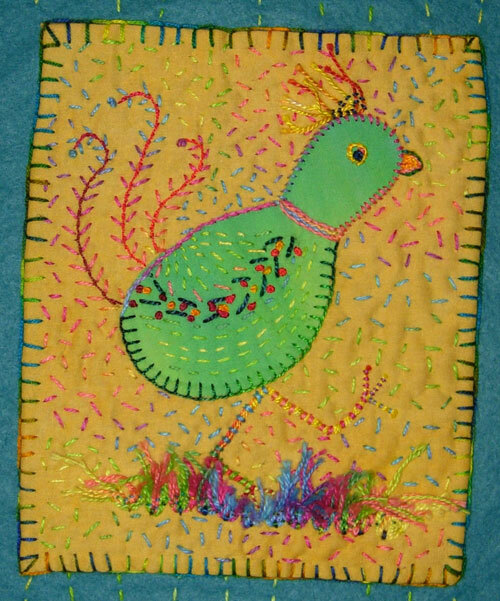 You can make shapely legs for your birds, outline a shape, create lines, or add heavy duty texture to fabric with the easy Couching Stitch. 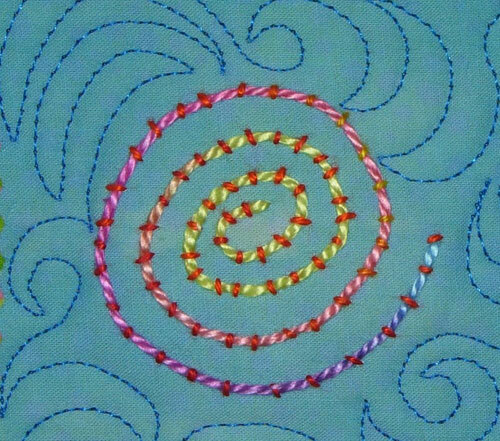 Stitch the big needle into the fabric to hold it out of the way. 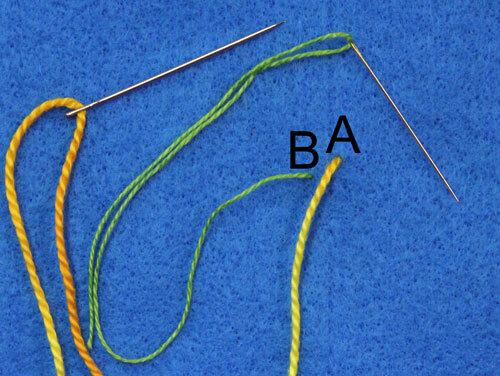 Bring the smaller needle, used with the finer thread, over the thick thread and insert the needle back into B. Draw the thread through the fabric. The finer thread traps the heavy thread into place. 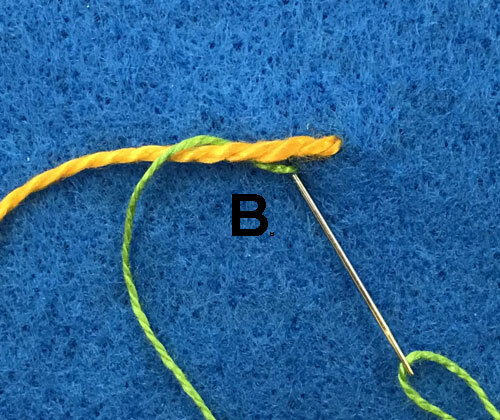 Bring the small needle up at C about 1/4’’ from B. Insert the small needle on the other side of the thick thread and back into C. Draw the thread through the fabric. 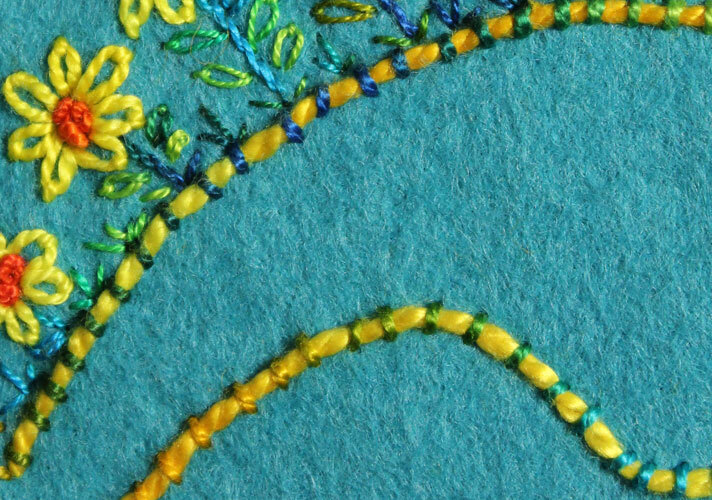 Continue to couch down the thicker thread to make shapes, draw lines, or outline shapes. 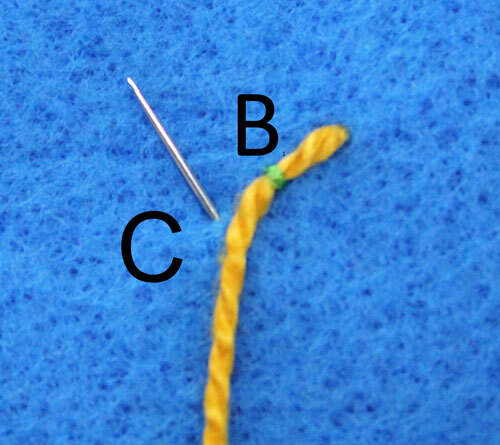 To end the stitching, bring both threads to the back of the fabric and tie them off.